Output/Hour* 9000 to 15000 bottles. Power Consumption** Main Motor 1.5 HP / 415 Volts / 50 Hz. 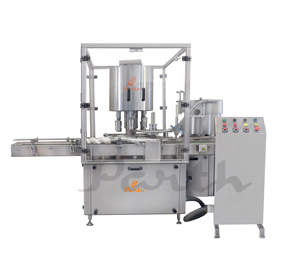 Machine Dimension 2500 mm (L) x 1000 mm (W) x 2150 (H) Approx. Case Dimensions 2700 mm (L) x 1200 mm (W) x 2350 (H) Approx.